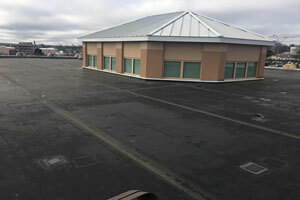 There are a lot of choices on the market for flat roof materials, and it can be difficult to choose which one is best when it comes time to replace that aging, leaky roof on your commercial building. It can seem like a tough decision at first glance. Let’s consider the pluses and minuses of the many options — I think the best decision will become clearer once you have the necessary information at your disposal. Often referred to by the acronym BUR, a built-up roof is your conventional tar-and-gravel roofing system. It’s constructed by building up 3 to 4 layers of hot tar over a reinforcing fabric — the top layer can be covered in a smooth stone ballast to improve the appearance. BUR roofs are generally low maintenance, which means an overall low cost over their lifetimes — but that’s after you overcome the problems I’m about to mention. The installation is time-consuming and costly compared to other options, and there can be hazardous fumes involved when it’s being installed. Also, they’re extremely heavy. Joists may have to be reinforced to support the added weight, which adds to the cost of installation. In addition, BUR roofing systems aren’t very resilient in the face of wind and hail damage — a problem here in North Texas. A modified bitumen roofing system, or mod-bit roof, is made from asphalt mixed with a polymer to increase the pliability and temperature tolerance over asphalt alone. A mod-bit system is typically a rolled-on sheet that is fairly easy to install. Some older forms must be heated to adhere to the decking, but there are peel-and-stick varieties on the market today that make installation even easier. The mod-bit roof has high-tensile strength, so it’s less susceptible cracking than many other flat roof options. These roofing systems are usually rated against wind, fire, and hail damage, so they are less vulnerable to storm damage than BUR systems, and they usually have a warranty to back that longevity claim up (but they’re still not the toughest under rough conditions). 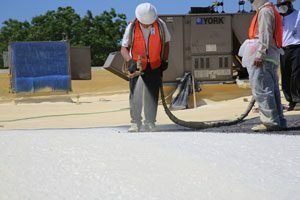 Coming in 1–3 ply versions, the 1-ply fails the durability test, and the 2- or 3-ply versions are much more expensive to install — a good mod-bit roof is a costly investment. Mod-bit roofs are usually black, which absorbs heat from direct sunlight, potentially driving up utility costs — extreme attention to insulation is required, which further increases the installation expense. Pooling or ponding water is also a problem after heavy rainfall, and it can damage or age your mod-bit roof. Ethylene Propylene Diene Monomer roofing systems, commonly known as EPDM, or, simply, rubber roofs, are made of petroleum products, and they often resemble black inner tubes. They’re one of the cheapest roofing materials on the market. The major advantage is, again, the cost (as low as $0.80 per square foot), and that’s what draws most people toward this option. Also, EPDM roofing systems are fairly simple to install, especially compared to BUR or mod-bit roofing systems. The roll of black material is spread out over the roof, and it is fixed to the decking by liquid adhesive or specially formulated tape. It can be ballasted or mechanically attached in difficult-to-reach areas. The appearance, sometimes compared to an old tire, can really detract from your building’s visual appeal. The major drawback is expense after installation. Like mod-bit and BUR roofing systems, EPDM roofs are usually black or dark grey, resulting in absorption of sunlight, increased heat, and higher utility bills. The seams between the sheets of material are natural weak points for leaks to occur — your building expands and contracts with heating and cooling weather trends, which pulls on these vulnerable points. Over time, that movement increases the likelihood of leaks and weather damage, which means higher maintenance cost. 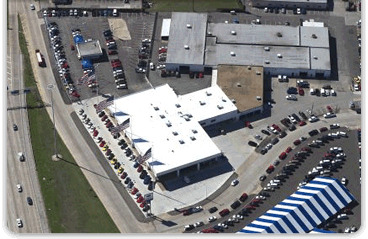 TPO roofing systems comprise a 3-layer white membrane made of thermoplastic polyolefin surrounding a polyester-reinforced fabric. They are marketed as having all the benefits of rubber roofs and PVC roofs without their weaknesses. The cost to install is reasonable, and their lighter color provides energy-efficient reflectivity that can help reduce utility bills. Although it’s a roll of material stretched across your roof, the seams are easily sealed by melting them together — it’s a fairly simple, durable structure. Since it’s a relatively new product (released in the early 1990’s), there isn’t enough data to know for sure, but disappointing evidence is mounting — despite the lighter reflective coloring, it’s suspected that TPO breaks down over time under intense sunlight and hot weather conditions. The seams can also weaken and leak as your building expands and contracts with temperature change, and your roof may fall into a cycle of leak and patch, leak and patch. In short, your roof may need to be replaced more quickly — the cost-to-lifespan ratio is definitely suspect. Originally used to build industrial refrigerators, coolers, and freezers, spray polyurethane foam (SPF) is a flat roof material that is sprayed on, expands as it dries, and forms a strong, seamless, lightweight, durable roof. There are many more advantages to foam roofing — feel free to read them over yourself. Also, SPF comes in open and closed cell types that can be matched to your building’s particular requirements. It’s really hard to think of any, but here are two that might be considered. First, SPF roofing systems are not a do-it-yourself installation job — professional installation will be required (but that’s where we come in). Top of the line SPF roofs are not the cheapest on the market, but, considering the payback, many of our customers find themselves more than satisfied with the savings over time. 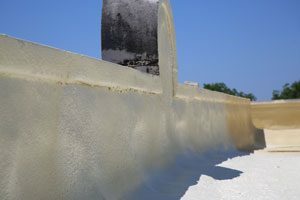 When you consider the conditions we face here in North Texas, the combination of strength, durability, and seamless design make SPF the choice with the greatest upsides (and very few downsides) when it comes to potential repairs. The reflective and insulative properties further reduce your utility costs. 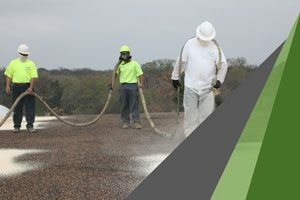 If you think it might be time to replace your aging or failing commercial roof, click here to schedule a free estimate on a spray polyurethane foam (SPF) system — the best flat roof material available.